There is consensus among healthcare providers that the earlier a vision problem is diagnosed and treated, the less the potential negative impact on the child’s development, delayed reading and poor overall school performance. Our visual acuity screening method uses the principles of the OptoKinetic Nystagmus (OKN) reflex to tell whether a patient’s eyes can follow a moving target. 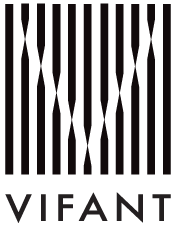 VIFANT can objectively measure vision acuity in patients as young as 6 months of age, even without verbal communication between the tester and the patient. Leveraging an off-the-shelf tablet, VIFANT is able to perform this evaluation without requiring any specialized hardware, expensive cameras, or equipment. Primary Care Physicians and their staff can perform visual acuity testing of young children using just an iPad and the VIFANT Vision Acuity Screener app. With young children, every minute counts for a speedy patient experience. Screening only takes 2 minutes. OKN, or optokinetic nystagmus, is the reflexive eye movement response to moving targets: eyes will follow moving targets. It is a natural behavior of the eyes. When a target leaves the visible field, the eye’s ability to make corrective adjustments is a sign of a normally functioning visual system. By using OKN, no verbal communication is needed between the tester and the patient; therefore, the visual acuity testing can be extended to pre-verbal and non-verbal patients. enables early mass vision screening of children.